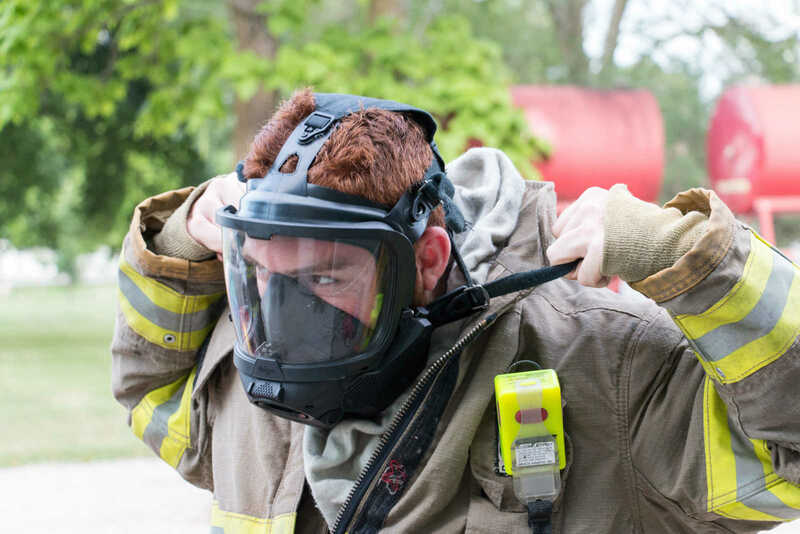 Walker Fire Department has received 12 donated Self-Contained-Breathing-Apparatus, or SCBA, and a number of extra cylinders from Wolf Creek power plant in Burlington, Kansas. See the July 2 edition of the Nevada Daily Mail for the complete story. Blake Salkal puts on one of the new Drager SCBA for the first time. Bryson Hoderman checks the seal on his mask. Any opening around his face could let in hot, toxic gasses while he is in a burning building. 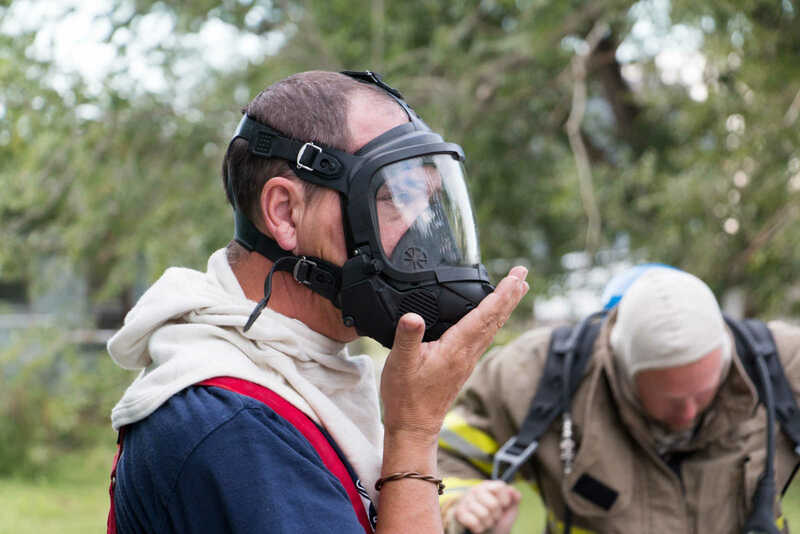 Firefighters from Walker Rural Fire Department practice searching a house that is on fire using their new Drager SCBA. 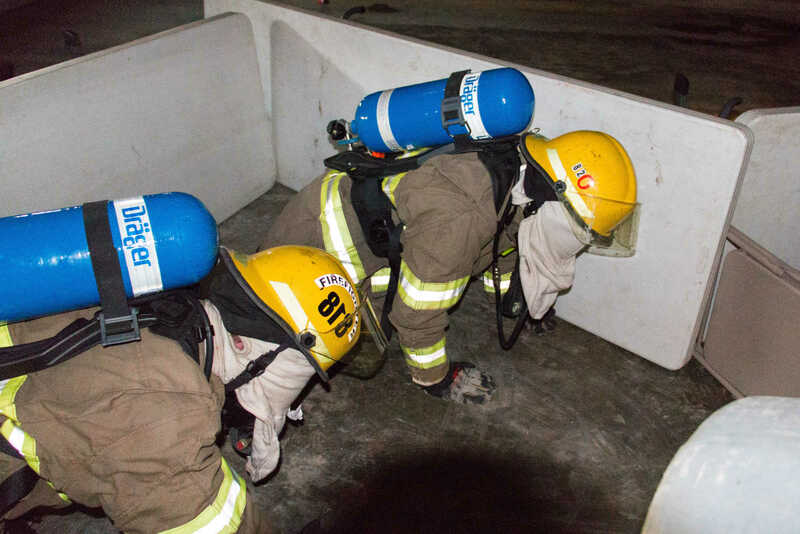 Firefighters crawl into burning buildings to stay out of the heat that rises to the ceiling. 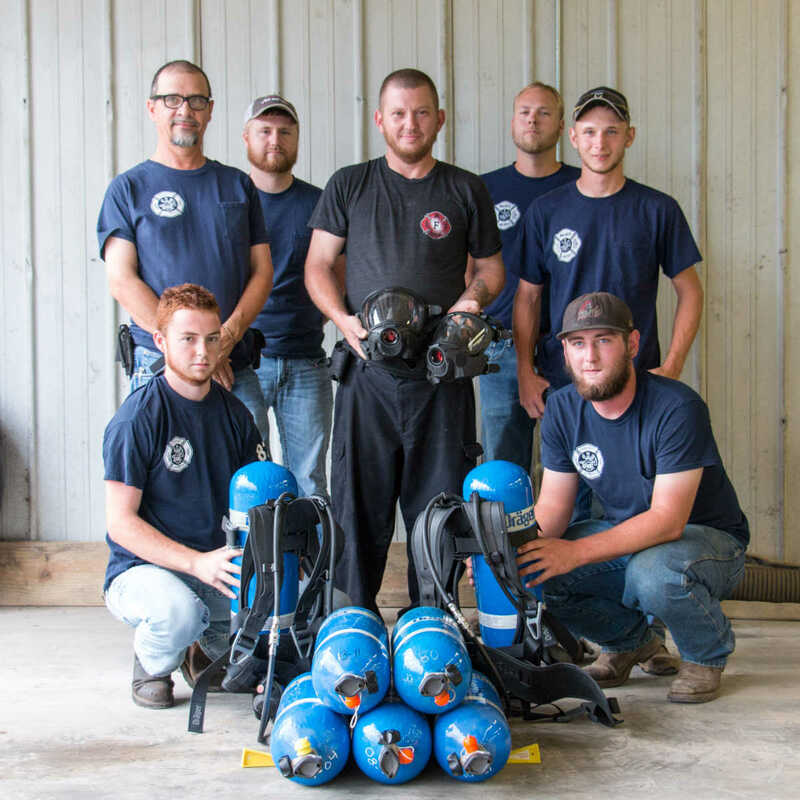 Firefighters from Walker Rural Fire Department with Self Contained Breathing Apparatus, or SCBA, donated by Wolf Creek Powerplant. Front row, from left: Captain Blake Salkal, Captain Taylor Highfield. Back row, from left: Bryson Hoderman, Bruce Koehn, Russell Hays, Lieutenant Lane Koehn, Calvin Gish.